You already know that the much awaited STAMPtember® is here! 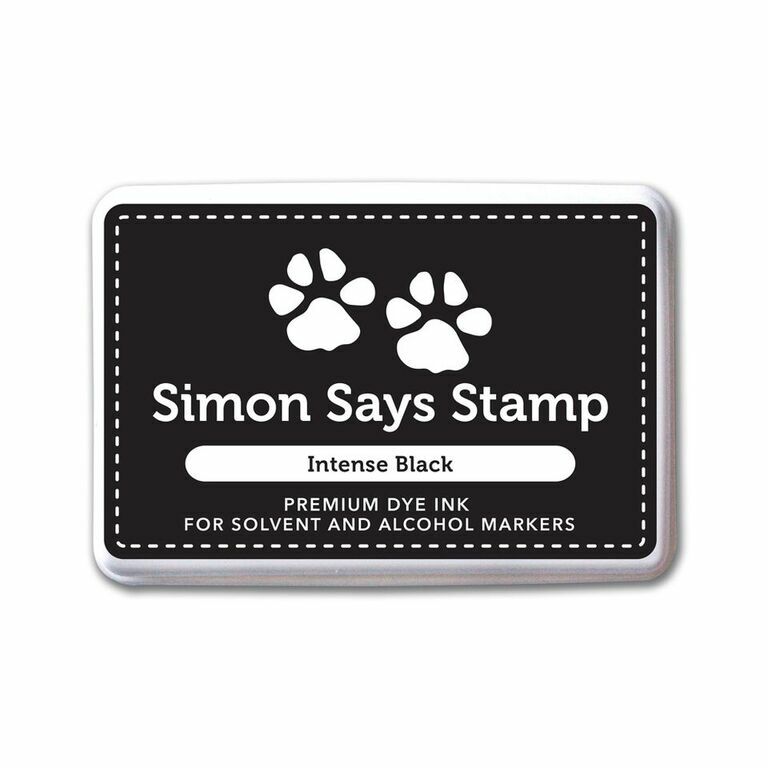 So many gorgeous new products from Simon Says Stamp. Heidi and the team sent me a few samples to play with. So very grateful and thankful, Heidi! 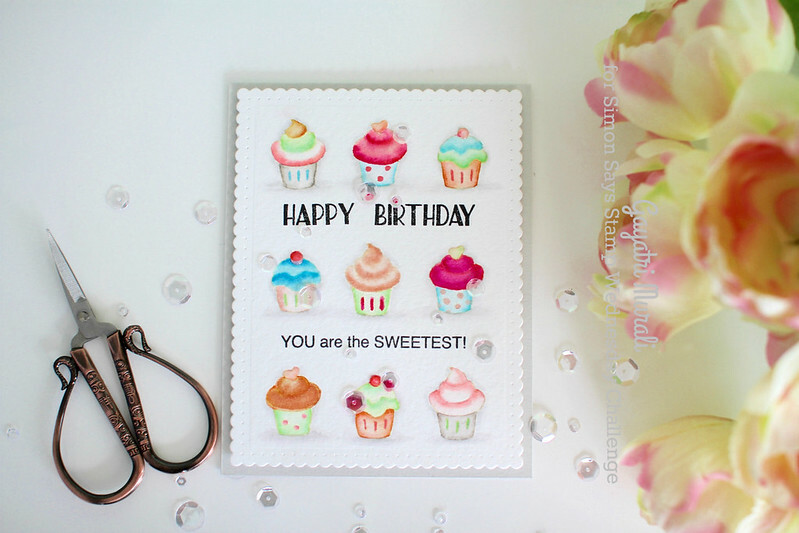 So thrilled to share with you a card using Sweet Cakes stamp set. cute images and make a card. And I tried a hand at no line colouring. I stamped the images using Antique Linen distress ink and used Zig Clean Brush Pens to colour the images. I stamped the sentiment between the rows of cupcakes using mini MISTI to get even coverage and sharp sentiment. The watercolour paper is die cut using scalloped frame from Essentials Audrey’s Cutaway from Winnie & Walter and mounted on Simon Says Stamp Fog card base. And embellished with Pretty Pink Posh Sparkly Clear sequins. Hope you like it. I have listed all the supplies below for your convenience. 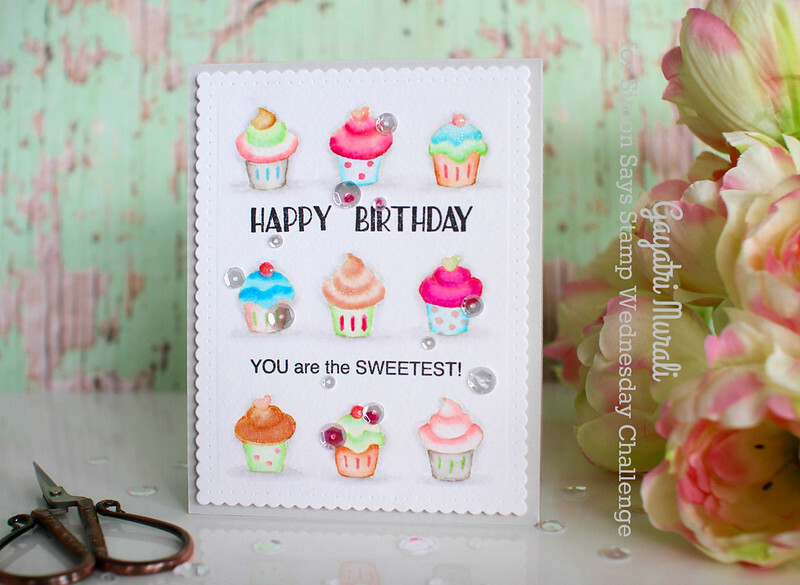 I will share more cards using new STAMPtember® products throughout this month.